Musicians and composers with disabilities are honored in Impossibly Possible, the opening concert of the Fort Bend Symphony Orchestra’s 24th season. FBSO will be joined by guest artist Daniel Stover, who lost the majority of the use of his arm following a traumatic stroke in 2008. 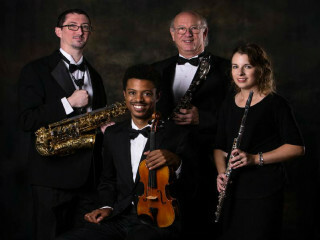 Stover will perform Hans Gal’s Concerto for Saxophone and Orchestra, using his special one-handed saxophone. This is the U.S. premiere of the concerto’s full orchestration, in cooperation with the Gal Foundation in Vienna. Also on the program: Beethoven’s 8th (or “Little”) Symphony; Robert Schumann's Carnaval, op. 9; Scherzo in D minor, by Rachmaninoff and The Impossible Dream from “Man of La Mancha”.